The documentary #SeattleIsDying is a brutally honest and upfront expose’ on how blue city governance is killing this once great city. We are also seeing this in San Francisco, Los Angeles, and most other cities run by progressives. Here’s my latest rant on this and Gillibrand at Real Side Radio with the documentary below. Alexandra DeSanctis of National Review and Greg Corombos of Radio America react to Florida Sen. Marco Rubio calling out ballot counting irregularities in Broward and Palm Beach counties in the race between Rick Scott and Bill Nelson. Both counties are in clear violation of canvassing law and both Rubio and Scott are convinced that Democrats are trying to steal the election after the two counties suddenly discovered nearly 100,000 new ballots, the overwhelming majority of which are for Democrats. And Alexandra sounds off on the latest hypocrisy from New York Sen. Kirsten Gillibrand. As many of you know, Alexandria Ocasio-Cortez is my favorite Democrat. She is revolutionizing the Democratic Party in preparation for humanity’s evolution from capitalism to socialism. 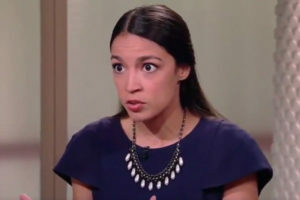 Her 15,000 voters in the Bronx/Queens have launched her to the top of the media world because she is young, she is a woman, she is of color, and she defeated an old establishment white guy in line to replace that old billionaire white woman who currently leads the calcified, capitalist House Dems. The Democratic National Committee has embraced this charismatic young torchbearer of the Democratic Socialists of America as the new face of the Democratic Party (Bernie can now be stuffed into a closet where he belongs). Social democracy is now fully outed as the dominant political philosophy of the Democratic Party. Clinton cronyism is out. The Democrats have found their feet and Ocasio-Cortez’s new message is ascendant. Too bad she’s too young to run for president in 2020. Jim Geraghty of National Review and Greg Corombos of Radio America mourn the murders of five people in an Annapolis mass shooting and are frustrated by the litany of ignored warning signs and the knee-jerk online condemnation of President Trump for the killings because of his criticisms of the media. They also applaud the police for arriving on scene in just 60 seconds and saving many lives…and the staff of the Gazette for it’s commitment to publishing a paper today. And they try to make sense of New York Sen. Kirsten Gillibrand suddenly supporting the abolition of ICE and wrongly insisting that no Democrats voted to confirm Neil Gorsuch to the Supreme Court. 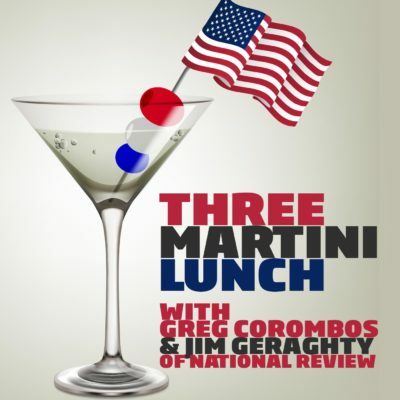 Alexandra DeSanctis of National Review and Greg Corombos of Radio America give a quick preview of what they look forward to at the spectacle known as State of the Union before dishing out martinis. Then, they shake their heads as New York Sen. Kirsten Gillibrand first demands that President Trump resign over sexual harassment allegations and then immediately starts waffling when Meghan McCain brings up the Clintons. They also express disgust at Hillary Clinton after Clinton’s 2008 campaign manager reveals that she recommended that Clinton fire her faith adviser following credible accusations of harassment in 2007, only to have Hillary reject that idea and give the adviser a slap on the wrist. And they point out that stories of President Trump’s pettiness are driving away people who might otherwise be inclined to support him, the latest example being an ugly and pointless exchange between Trump and the recently ousted Deputy FBI Director Andrew McCabe. Jim Geraghty of National Review and Greg Corombos of Radio America react to a new Fox News report showing another link between the Justice Department and Fusion GPS, the firm that compiled the campaign dossier on Donald Trump. They also react to Sen. Kirsten Gillibrand insisting President Trump resign, Trump blasting Gillibrand on Twitter, and many on the left accusing Trump’s tweet of being sexual harassment. Jim says the whole spectacle shows that Trump and Gillibrand deserve each other. And they have little sympathy for the family of the Port Authority bomber, as they gripe about the aggressiveness of the investigation into the attempted terrorist attack. Stop spending a fortune on gimmicky shave tech you don’t need. Make the SMARTER CHOICE by joining Dollar Shave Club. Get your first month for only 5 bucks, with free shipping, by going to DollarShaveClub.com/MARTINI.